Valued at £484 million, the male grooming market in the UK has grown only marginally – by just 3% – over the last three years. Recession and unemployment have not helped this market with a lack of routine or the need to look professional, behind the slight decline in usage in the last year. However, there are many positive factors at play in the sector. A rising interest in personal appearance and a greater acceptability of using skincare, together with increasing information about grooming in the media, and the availability of an increasing range of products are all contributing to a growth of interest in the male grooming market. Exclusive research shows how appearance is as important to men as it is to women. Today, almost six in ten (57%) men exercise or do some form of sport each week, while over a third think it is important to keep young-looking. Young men are of greatest value to the grooming market because not only are they more experimental with their appearance and spend more time on grooming, but they are also more likely to use a wider range of grooming products. 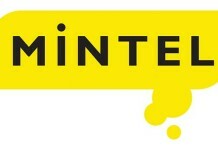 According to Mintel data, the heaviest users of grooming products in general are aged under 35. Two in five men aged under 25 regularly use more than four grooming products, as do one third of men aged 25-34, compared to just 8% over those aged over 55. In terms of skincare products, these are particularly popular within the 25-34 age group, with 47% of this group using face creams and lotions, the highest of any demographic group. Looking at brand loyalty, this is relatively high. As many as four in ten men only use one brand in any given category, this is highest among under 25s and 35s – which highlights why this age group is so heavily targeted. Much market potential lies with the 25-34 age group, which is predicted to grow by 12% over the next five years. These men are likely to be more concerned over issues such as aging, they are also young enough to be influenced by media coverage of male appearance. Manufacturers are concentrating their efforts on mainstream areas such as skincare, deodorants and hair care. Product launch activity is led by skincare, from gradual tan moisturizers to anti-ageing, as well as body lotions, which accounted for a third of new product launches in 2009. More than half of launches have a herbal and botanical claim. Accounting for 25p in every £1 spent on men’s grooming products, skincare is very much the focus of new product innovation. Although growth has been steady for the sector, it is expected to grow in value. The recession has indirectly contributed to a decline in heavy users of shaving products as being clean shaven looks more professional and a rise in unemployment reduces the need to shave. However, luxury men’s skincare ranges are expanding and they offers further scope for differentiating brands.